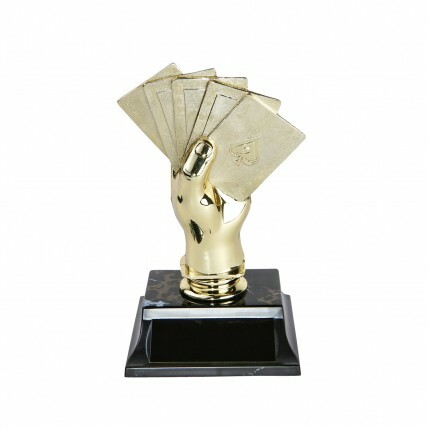 Our Golden Hand Poker Trophy is the perfect poker award for your next tournament! At 6" tall, this poker trophy features a golden hand holding a winning royal flush on your choice of base color. 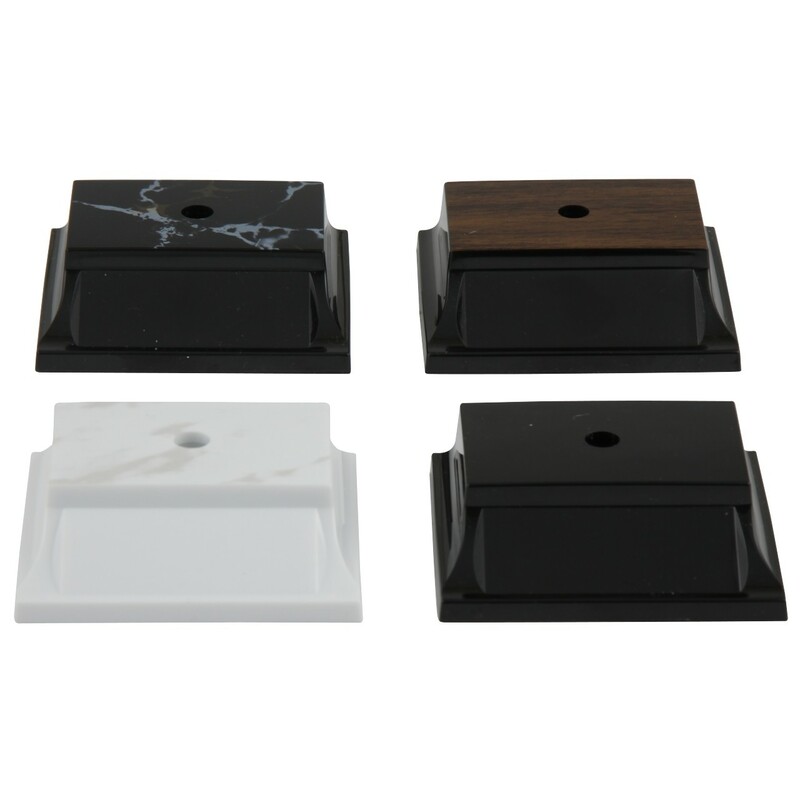 Includes 3 lines of engraving for Free!